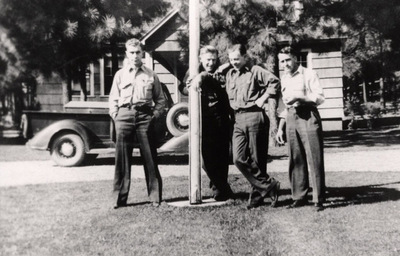 Group of four men standing at the base of a flag pole. Pete Horish far left. "Men" (1935). Frederick Krueger Photographs. 389.